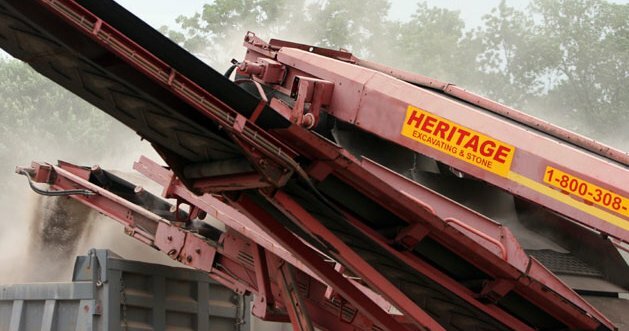 Heritage Excavating and Stone is a full service portable custom crushing and screening company. We have recycled aggregate and topsoil and also provide crushed decorative brick (red, white). We accept concrete debris for recycling.